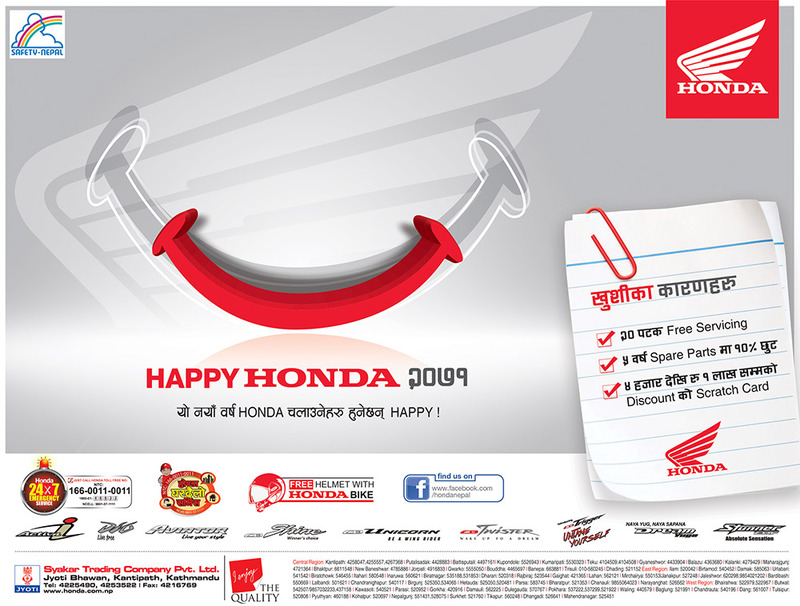 Thousands of citizens of the capital used a national holiday and a sunny afternoon to throng the streets Thursday to catch a glimpse of Naba Yubaraj Hridayendra as he was taken in a chariot procession to holy sites in old Kathmandu. 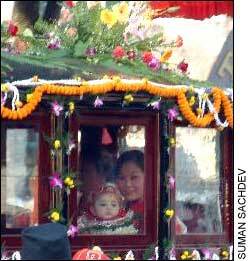 The occassion was the religious rice-feeding ceremony of the six-month old royal, who is the son of Crown Prince Paras and Princess Himani. 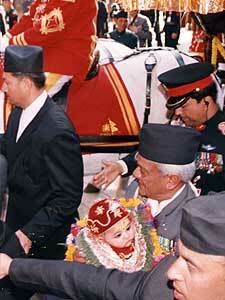 As tradition has it, Prime Minister Lokendra Bahadur Chand officiated as the "guardian" carrying the baby royal to the Maru Ganesh and other temples near Hanuman Dhoka. 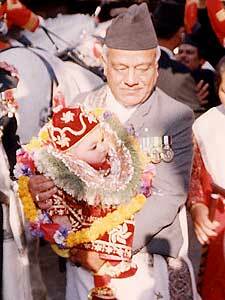 Later, King Gyanendra, Queen Komal, Queen Mother Ratna took part in a reception for select invitees at the royal palace.